This is the new guidebook for seekers who are on earth at this amazing time! We are moving into a new Golden Age of Humanity. New Souls have been incarnating on earth for some time and are now here in the millions. These New Souls are in fact highly evolved beings who have achieved mastery many times before in previous lifetimes. They are Energy Workers and members of the Spiritual Hierarchy who have come to earth specifically to help transform humanity. This book is a crash-course in spiritual mastery where you will learn how to manifest your full potential and to open your abilities in Energy Work. You will learn how enter into the New Energy that is now available and how to take your place as an active member of Spiritual Hierarchy that are working on earth to fulfil the Avataric Mandate for this world age. 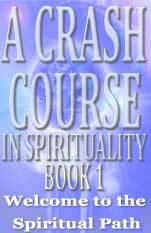 Author of 'A Crash Course in Spirituality - Book 1'. He lives in the UK.